Enticing art on the fly is never a bad thing. 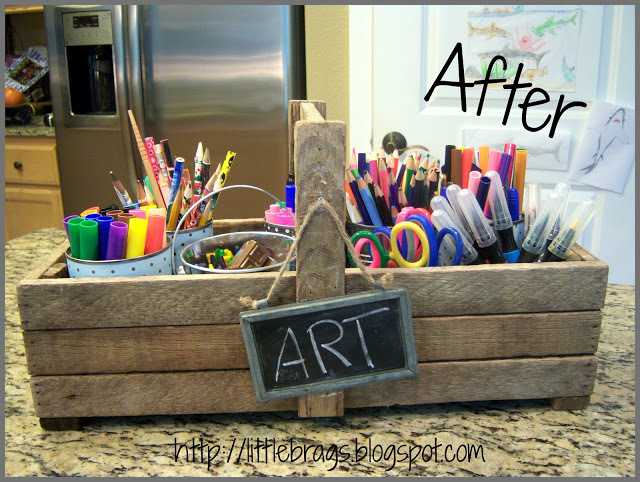 Who could resist creating with this clever art caddy toolbox in plain full view any time of day? Christine landed this sweet little toolbox at a nearby store and instantly knew what to do with it. She managed to empty out an entire drawer, creating a little art caddy that would entice thriving young artists. 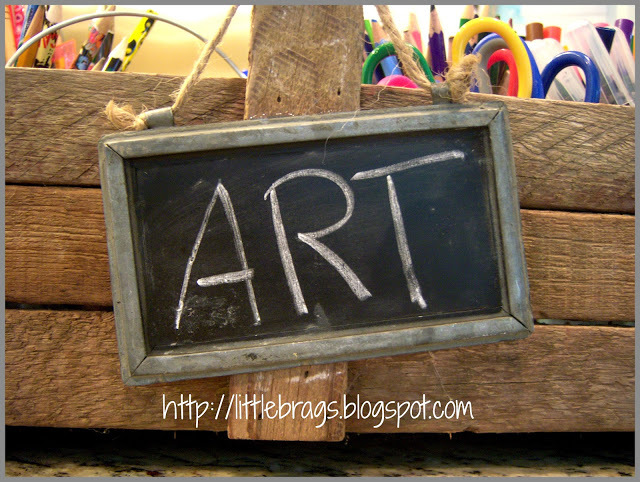 The icing on the cake is of course this ADORABLE little chalkboard ART sign. Oh my... yes, a great reminder to starts scribbling for certain! Not only is this particular style of tool caddy adorable, it has become so useful! I also love the fact that the pens and pencils sit inside decorated tin cans that can be lifted out. This sweet idea offers so much more personality than anything plastic from an office supply store. More cool DIYs at Party Junk 191 HERE.